IDentity Festival — the first touring electronic music festival curated by prominent DJs Kaskade and Steve Aoki — kicked off their second annual 15-city voyage in Cincinnati, Ohio on Thurs., July 19th. The lineup consisted of Le Castle Vania, Showtek, Excision, Madeon, Nero, Arty, Eva Simons, the posthumous return of the legend, Eric Prydz and more. Set to join them during the second-half of the tour is Paul van Dyk, Hardwell, Wolfgang Gartner, Porter Robinson and Adrian Lux. 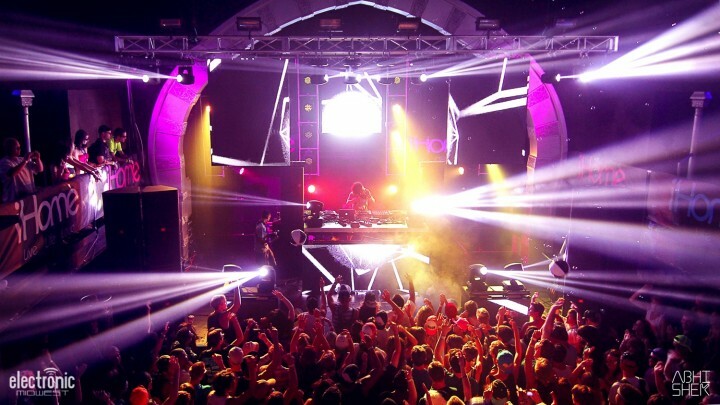 IDentity made its second stop at Elektricity in Detroit, Mich. at an uncommon show set up. Instead of the usual laden festival grounds parsed with rows of green, the main stage (sponsored heavily by iHome) was inside the club, Elektricity, whereas the other main stage (sponsored by Rockstar Energy Drink) was spread out within a parking lot strip a la block party style with booths. The show kicked off into high gear with raw, exuberating energy from brothers Chris and Alex Andre from DVBBS. These guys knew how to grab attention with their heavy baselines intertwined with their multiple (sans shoes) stage dives. 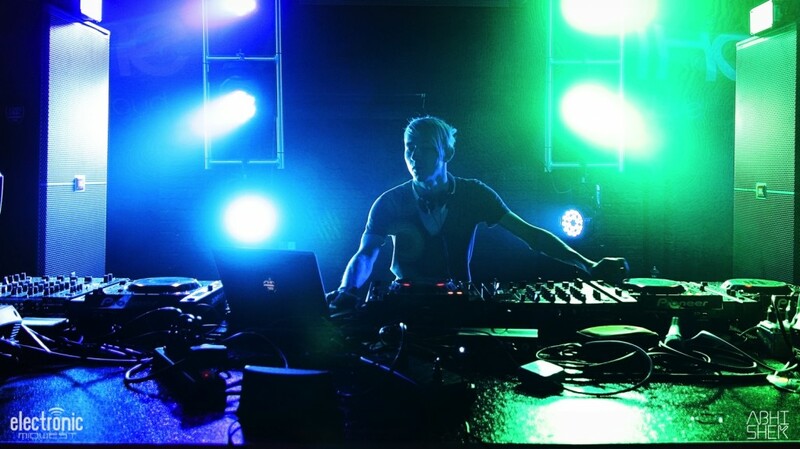 They had created a mosh pit reminiscent of a proper rock concert, but the night had only just begun as Atlanta-based DJ Le Castle Vania aka Dylan Eiland took the stage. His shy, personable demeanor had suddenly faltered as he brought a shocking pervasive rock sound to his set accompanied by an electro, dubstep and trance mix. The crowd went wild as he played hits like the Tommy Trash remix of “Antidote” by Swedish House Mafia vs. Knife Party only to switch it up later and play “The Invaders Must Die” by The Prodigy. Le Castle Vania says he “loves to give energy to the crowd” and also get it back in return, which was evident when the lights dimmed and all you could see was Le Castle Vania put on a pair of white sunglasses, stand on stage and then drop a remix of French electronic music duo Daft Punk’s vocoder-processed hit, “Around the World.” Le Castle Vania is surely one to be on the look out for in 2012. Between his eclectic set and his creative graphical stage appearance, (phone ring tones and Facebook messages were used nonetheless) he ended it all with his remix of Kaskade’s “Turn It Down” with everyone singing along plus an impromptu — yet deserving — stage dive. Le Castle Vania said that even though he keeps up with what’s happening he also likes to “create what’s fresh” and mentions that “the show is the easy part, but everything leading up to getting you to be the reason that people want to come to that show or want to check out your music is the [real] work and you’re not getting paid for that. The show is the payoff.” Le Castle Vania’s debut album drops later this year, but in the meantime you can get his free track called “PlayLoud” which is touted as a “club banger” and available exclusively on his Facebook page on July 30th. Brothers Wouter and Sjoerd Janssen of Showtek annihilated the Rockstar Energy Drink stage with their energetic appearance as Wouter manned the decks while Sjoerd roamed the stage, pumping up the crowd and squirting fans with, what else? Rockstar. They played hits such as Dada Life’s “Kick Out The Epic Motherf***er” and Marcel Woods “The Bottle” plus their own popular track, “FTS (F*** The System).” They proclaimed in an earlier interview that despite the long grueling hours of traveling, the energy of their fans always gives them the strength to put on an amazing show, which ended with the duo handing out autographs and signing shirts and more that’s left to the imagination. They also have a couple of upcoming tracks in the pipeline, including a song with Hardwell called “How We Do” set for release July 30th. Meanwhile, inside the iHome stage, the crowd was chanting for Russian DJ/Producer Arty before he even made his way to the decks. He didn’t disappoint his fans as each track he threw down had a heavier baseline than the previous. As he launched into “Never Be Alone” by Simian, we realized that Arty wasn’t going to play just trance, but a whole multitude of different genres including Porter Robinson’s “Language” and Dirty South & Those Usual Suspects ft. Erik Hecht’s hit, “Walking Alone.” This rising star is only going to be moving forward and setting the bar higher for himself in the years to come. Excision’s stage setup mimicked one of another huge dubstep star, Skrillex. Excision’s daunting, yet massive “X” structures flanked both sides of the Rockstar Energy Drink main stage and were accompanied by additional subwoofers ready to blare people’s eardrums. 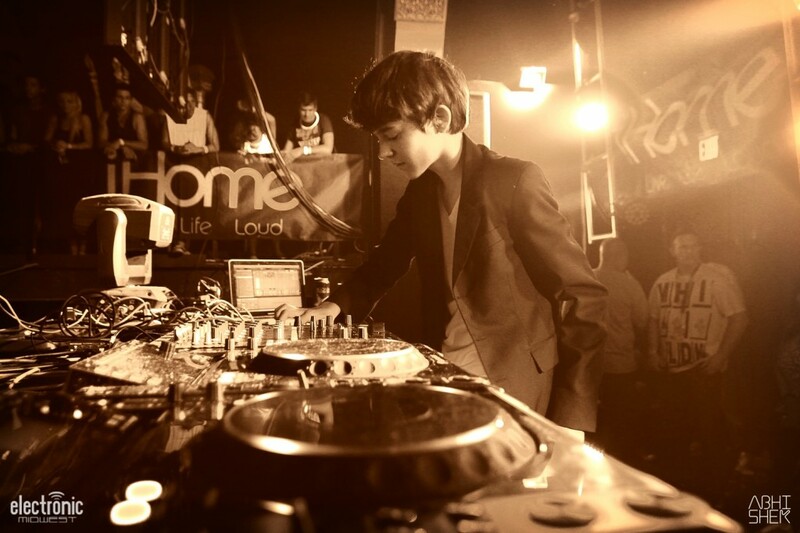 Meanwhile, Youtube prodigy Madeon (Hugo Pierre Leclercq) threw down a set that’s usually evocative of a DJ twice his age. The French electropop producer played “Fire Inside” by Gemini ft. Greta Svabo Bech and Miike Snow’s “The Wave” all while mixing live on his Launchpad. Not to be outdone, he had the whole crowd singing to his remix of Deadmau5’s “Raise Your Weapon” plus an audience that consisted of Arty, Le Castle Vania and Eric Prydz. The finales of the night belong to British dubstep masters Nero and the ubiquitous progressive house genius Eric Prydz. Nero, best known for their hits such as “Promises” and “Innocence,” didn’t disappoint the large crowd that had surfaced for their appearance. Meanwhile, Swedish DJ/Producer Eric Prydz marked his return to the United States after a four-year absence in true style. The soft-spoken, bold musical agenda doesn’t regularly give interviews — let alone appear in his own music videos — and definitely shies away from the media hoopla that surrounds other DJs, but that doesn’t mean the music has stopped being produced. 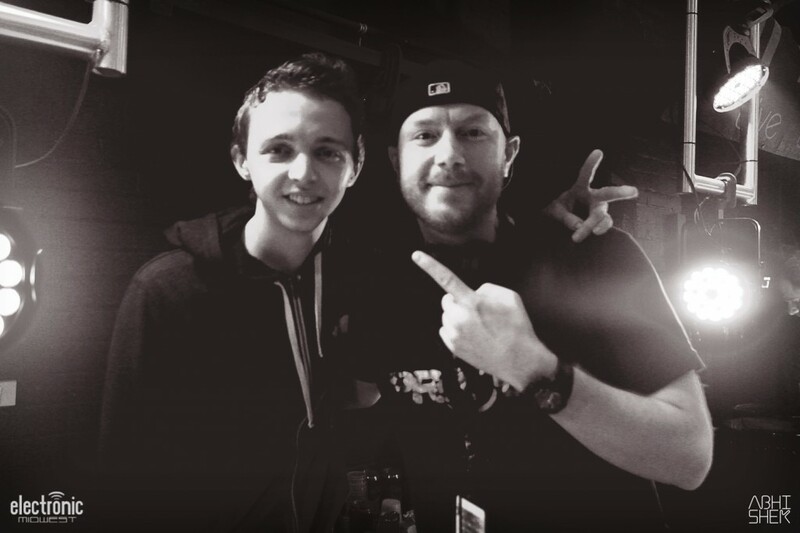 Prydz says that he makes music everyday, many of which don’t ever get released besides being played during his sets. He also noted that he has an album in the works that is slated for release the end of this year. 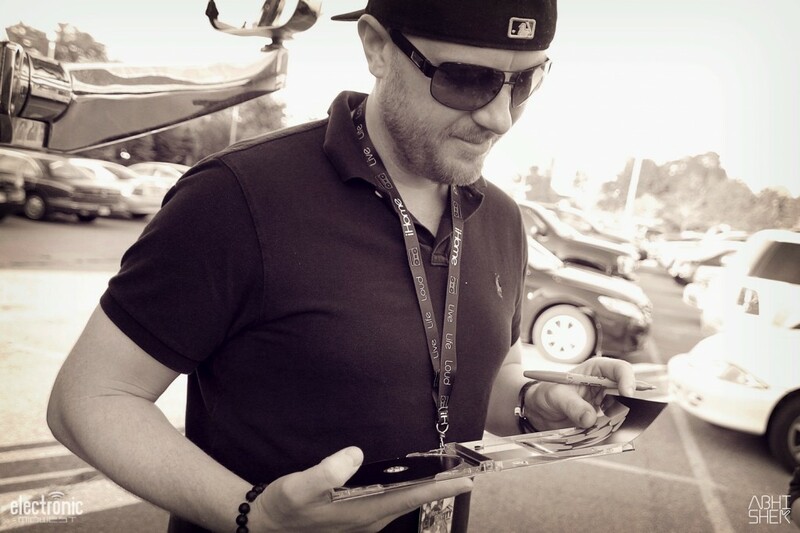 Prydz did turn down an opportunity to procure the soundtrack for this summer’s blockbuster movie The Amazing Spider-Man because he simply “forgot to follow up,” even though he is a big fan of the franchise. Prydz said that while he’s making music he simply pictures himself on the dance floor and arranges it based off the way he wants to hear it. He used this same advice to answer a fan’s question later that evening about how to get started in the DJ business. While most DJs would say it’s about technique, skill or even interest, Prydz says the most important thing in music is expressing one’s emotion, which he has captured in his track “Leja.” “Leja” was written for Prydz’s daughter and it uniquely tells the story of her birth and all the joy she brings into his life. Prydz – known to many as Pryda — mesmorized his legion of fans with his epic production, playing favorites such as “With Me”, “Beyond 8,” “SW4”, “Pjanoo” and “Allein,” while also giving the fans a sneak peak of what’s to come by introducing “Everyday,” a new song set to be released later this year. He did switch things up and play a remix of M83’s hit song “Midnight City”, which is currently being used for a televised Gucci fragrance. The night couldn’t have ended better as Prydz jumped from the stage to join his enduring fans that have longed to see his return to the States and posed for fans and signed countless autographs. » Check out more photos from IDentity Festival Detroit. IDentity Festival continues its run through the U.S. this summer. Catch the tour in Dallas on Aug. 10 and Houston on Aug. 11.